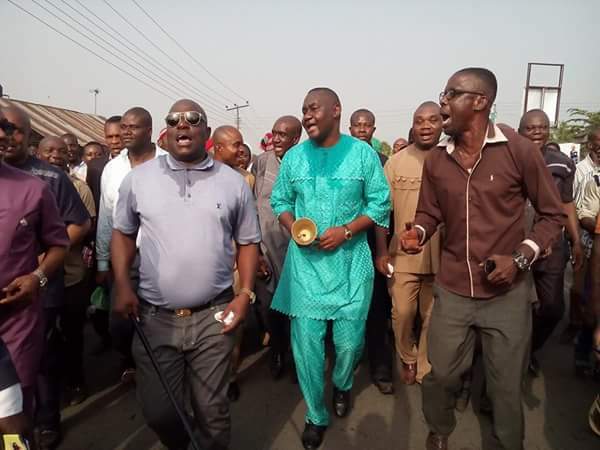 An Ogoni Youth, Mr Akanto Asogho has accused a former Senator who represented Rivers South East Senatorial District in the Senate, Senator Magnus Ngei Abe of embezzling N500 Million Constituency Project when he was in the Senate. Mr Akanto made the accusation while calling on a Radio programme (Talk of the Town) Hosted by Shegun Owolabi of Rythm 93.7 Fm Porharcourt which had Magnus Abe as a Guest. In a swift reaction to the accusation made by Akanto Asogho, Senator Magnus Ngei Abe stated that he never received any kobo as Constituency Project. He explained that Senators of the Federal Republic of Nigeria are not given cash as Constituency Project rather at the begining of the Year every Senator is bound to bring forth any intending Project in his or her Constituency which will be funded by the Senate. He advised Akanto to always verify before coming out to make accusations capable of causing unrest in the polity.